Summers in the South provide us with an abundance of fresh veggies from our own gardens or local markets. 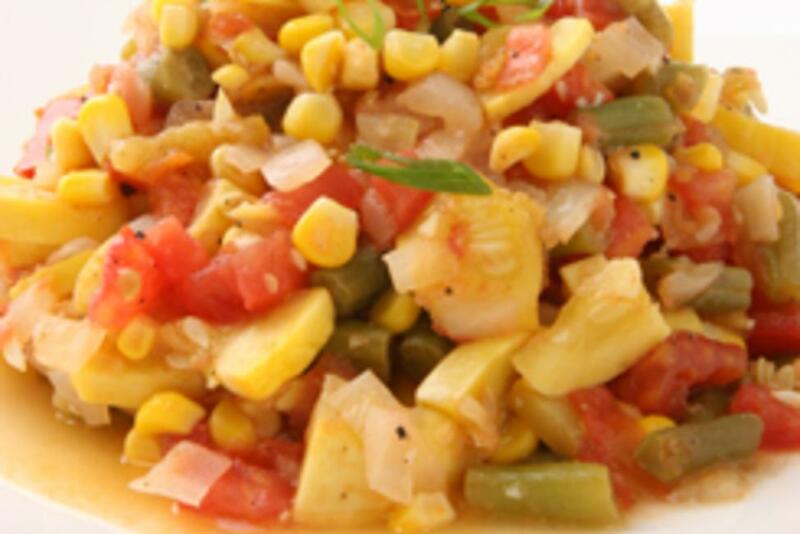 A way to mix these together is in succotash, which is simply a mixed vegetable dish. Give this recipe a try and enjoy all the flavors the different vegetables have to offer. In a large skillet, heat the oil and butter over medium heat. Add the chopped onion and sprinkle with salt. Cook, stirring occasionally, until soft and translucent. Add the garlic and cook for 1 minute. Add the zucchini and cook, stirring occasionally, until slightly softened (about 5 minutes). Add the lima beans, corn, tomatoes, and hot sauce. Stir to combine. Reduce heat to medium-low and cover skillet. Cook until heated through and tomatoes are soft, about 10 minutes. Stir occasionally. Add chopped basil and stir to combine. Add salt and pepper to taste. Transfer to a bowl to serve.